ThimphuTech.com: Is it Really Easier to Do Business in Bhutan? 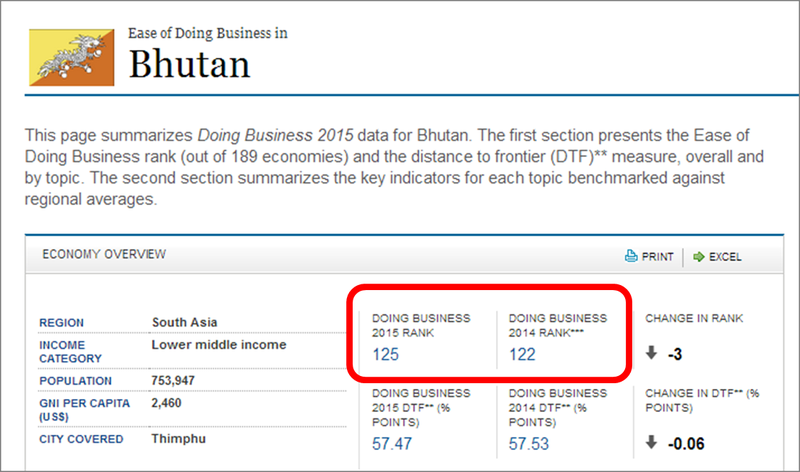 BBS, the Bhutan Broadcasting Service, was quick to follow, claiming that the "ease of doing business in Bhutan has upped by 16 places". This year's ranking ("2015 rank") is 125. Last year's ranking ("2014 rank"), when using the new methodology, is 122. 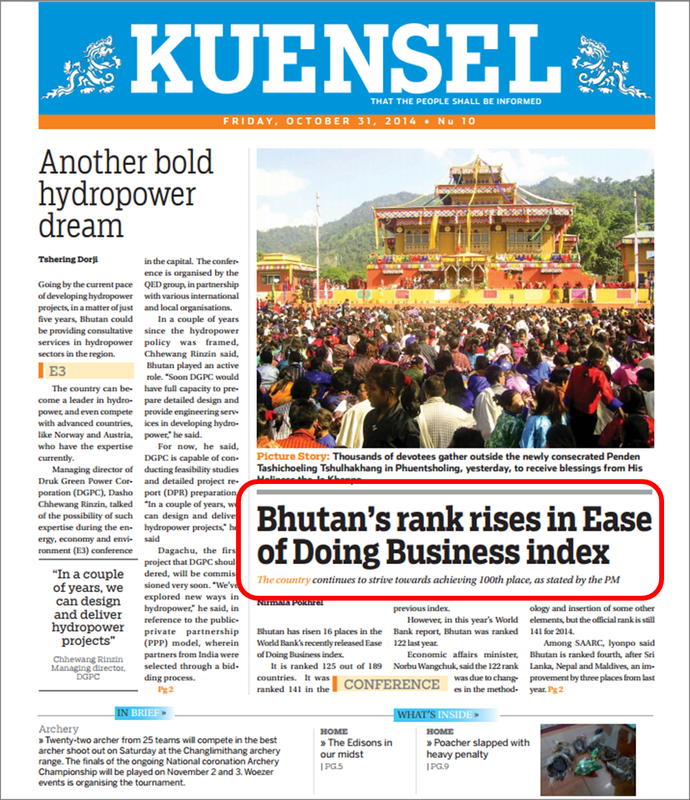 This drop in ranking means that compared to other countries, it has become more difficult to do business in Bhutan. "However, in this year’s World Bank report, Bhutan was ranked 122 last year... Economic affairs minister, Norbu Wangchuk, said the 122 rank was due to changes in the methodology and insertion of some other elements, but the official rank is still 141 for 2014." "In a press conference yesterday, lyonpo said the improvement is significant...It indicates that doing business in Bhutan is improving and we’re making a move for further improvement,” he said. Unfortunately, whatever improvements were made by the government in the recent year, they did not raise Bhutan's ranking. It's the media's responsibility to make this known.